I thought that I would jump on the bandwagon and share my best nine of 2017. I hand selected mine though because I didn’t like the IG selection! 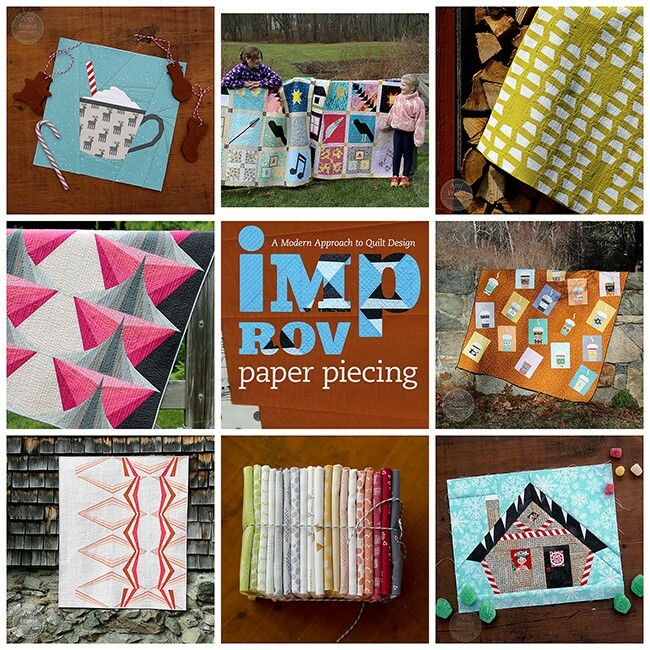 This year started off with a bang when my second book, Improv Paper Piecing was released. I have since visited many wonderful guilds to talk about the book and to share my technique and have enjoyed that very much. I also finished up my Gilmore Girls quilt last winter which was a whole lot of fun. I loved all the chatter on Instagram about the characters and their coffee mugs. In the spring, I introduced my debut fabric collection, Improv, at spring market. That was a really wonderful experience and I have enjoyed sewing 6 quilts and some pillows and other small projects with the collection this year. I also snuck in 3 just for me quilts this year, Namaste, Negativity, and High Tension. The pattern for Negativity is coming this spring though so hold tight and look for that one! I designed three new blocks for my Christmas quilt and could sadly only fit two of them in the collage but they have been a big hit and I thank you for all your pattern purchases. I love seeing Cocoa with Peppermint and Gingerbread House blocks pop up in my feed. And of course, I am very proud of my youngest daughter for completing her Little House quilt. I wish you all the best in the new year. Here’s to creating beautiful things!